Jesse Hagopian boasts a lot titles, but at the core he is an educator. Hagopian is a teacher at Garfield High School in the rapidly gentrifying Central District in Seattle. 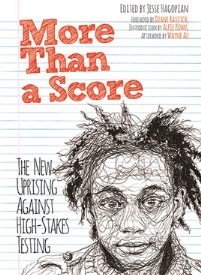 He recently released his first book, “More than A Score: A New Uprising Against High Stakes Testing,” which analyzes the history of standardized testing in America and its close-ties to institutional racism in the country. The Skanner News’ Donovan M. Smith spoke with Hagopian after an event he organized last week with Olympic legend John Carlos -- who famously raised his fist for “Black Power” at the 1968 Games in Mexico — to discuss his book. 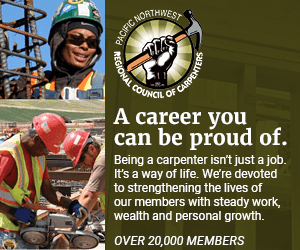 The Skanner News: Give our readers a general outline of what your role in Seattle’s education system has been. Jesse Hagopian: I teach here at Garfield High School and I’m co-advisor to the Black Student Union here. And two years ago our faculty voted unanimously to refuse to give a standardized test Measures of Academic Progress [also known as] the MAP—we thought it was harmful to our kids. They threatened all the teachers who refused with a 10 day suspension without pay. The teachers didn’t back down, and instead the district had to cancel the test, and it’s now gone from the high schools in Seattle. And that movement helped to ignite a movement around the country where more and more teachers were refusing to give the test; students are walking out in mass like in Colorado—they had the largest walkout in probably U.S. history against high stakes tests recently; and parents are opting their kids out of the test, and it’s become the largest movement against high stakes testing in U.S. history. So my book is a chronical of that movement. It has an introduction by former Assistant Secretary of Education Diane Ravitch. It also has the stories of the parents who opted their kids out--why they did it. The stories of the kids who led walkouts refusing to take the tests and stories of teachers from around country refusing to give it. So it’s a book that’s a testament to the resistance to this corporate education reform and this multi-billion dollar testing industry that’s trying to reduce the intellectual process of teaching and learning to a single number. And then they can use that number to label our schools ‘failing’ so they can close them, so they can deny students graduation so they can bust up the teacher’s union and fire teachers. I’m just glad that this book can be part of that resistance to this corporate reform. TSN: The #BlackLivesMatter movement is kind of new. Does your book tie in? Hagopian: I think it really does, because people should know the origins of high stake testing. Where does standardized come from? They’re a product of the eugenics movement that was openly white supremacist ideology, that was about saying White males are the smartest, women are lesser, immigrants are lesser, and Black people are at the bottom. And it was that eugenics movement which developed these tests to prove their White supremacy and then grafted them on schools in the early 1800s. And that’s why some of the most well-known Black intellectuals in American history were the first test resistors. You have people like WEB Dubois who spoke out against these fake intelligence tests, and that’s the tradition we stand in. Because today they’re using these tests to primarily label schools in Black neighborhood failing like in Chicago where they closed 50 schools—mostly in the Black neighborhoods right? So we see high-stakes standardized testing also as part of the school-to-prison pipeline. There’s a recent study from Boston University which reveals that the number one outcome of attaching high stakes to high school graduation is increased incarceration rates. And so, high stakes standardized testing is part of the institutional racism in our country, and that’s why if we’re going to defeat high stakes standardized testing our movement needs to take up the #BlackLivesMatter movement as well and we need to see it coming together with the two. And that’s why I was so proud when I came to Portland to speak at Powell’s. #DontShootPDX came and had their meeting in Powell’s beforehand and they all came to my book reading and we were able to make that connection. Then I heard that the following week they went to the school board meeting and basically shut it down and so I was really proud to contribute to those activists’ understanding and I hope to travel across the country with that message. My message this spring is going to be about joining together this movement against corporate education reform with the movement for #BlackLivesMatter. To purchase “More Than A Score” and to find Hagopian’s other works, visit his website: www.iamaneducator.com/.